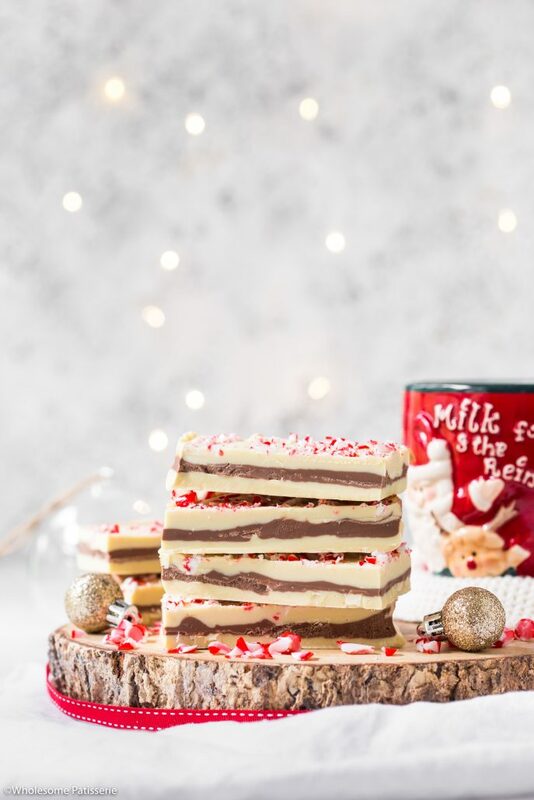 Peppermint and chocolate together is one of the most classic combinations you can enjoy during the festive season! 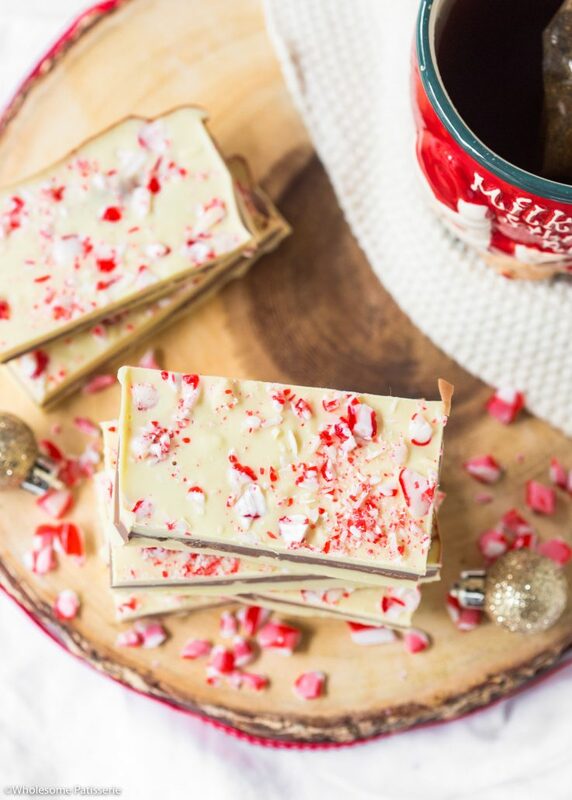 Create a delicious slab of bark with them and you have yourself a very merry little Christmas! This bark has 3 layers of chocolate, 2 layers of white and 1 middle layer of milk chocolate. Both have been infused with peppermint. I chose to use peppermint essential oil which is quite potent, so if you opt for peppermint extract (such as the ones you pick up for your supermarket), you’re welcome to add in a few more drops to bring out that glorious peppermint flavour. I made this quite a weeks ago now and my family devoured them! 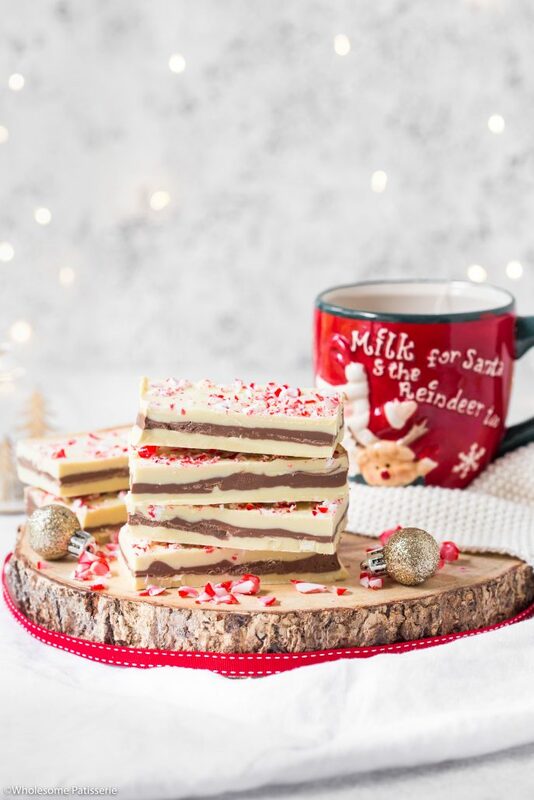 These bark slices are certainly rich and indulgent, so I recommend slicing them up into smaller squares so you won’t overdo it and regret it later, like I did, hehe! Ok so what are we waiting for?! 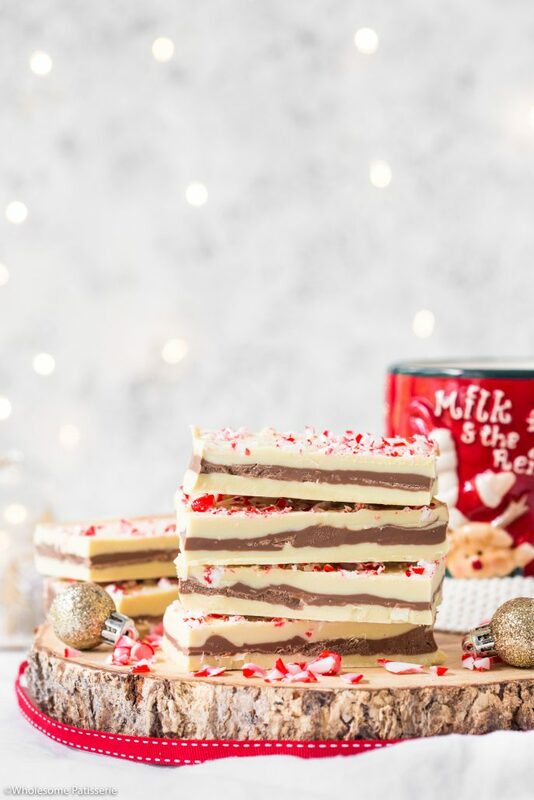 Let get into our favourite place, our kitchens, and whip this AMAZING peppermint chocolate bark up! Line a 9-inch square baking pan with parchment paper, set aside. In a heat-proof mixing bowl, add chopped white chocolate and coconut oil. Place over a pot of low simmering water, to create a double boiler. Melt until completely smooth, stirring occasionally. Once melted, stir through peppermint and remove from heat. Whilst white chocolate is melting, use the same above method in a separate mixing bowl and double boiler and melt milk chocolate and coconut oil until smooth. 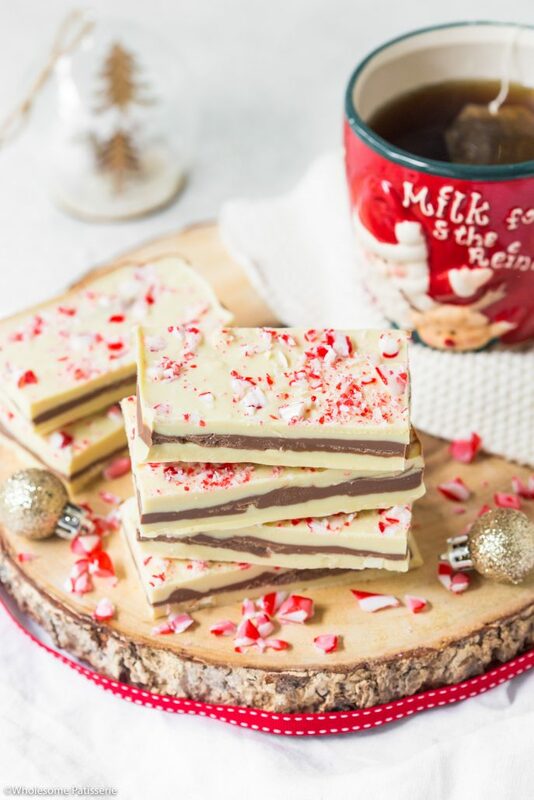 Stir peppermint through milk chocolate and remove from heat. Pour half of the melted white chocolate into lined pan. Refrigerate for 10-15 minutes or until it just starts to firm up, soft to the touch, not runny and not completely hardened. Remove white chocolate from refrigerator. Pour all of the melted milk chocolate over the white chocolate. Refrigerate for 10-15 minutes or until milk chocolate just starts to firm up, soft to the touch, not runny and not completely hardened. Remove from refrigerator and pour over remaining white chocolate. Sprinkle over crushed candy canes, if desired. Return to refrigerator and completely set, approx. 1-2 hours. Once completely set, remove bark from pan and slice into long bars or smaller squares. Store bark in an air-tight container, refrigerated, for 1 week.